Visual Art Boot Camps - Find part-time art courses on Nightcourses.com. Discover amazing illustration courses run by Visual Art Boot Camps (illustori) on Nightcourses.com. Adrienne Geoghegan’s Visual Art Boot Camps were established in 2008. 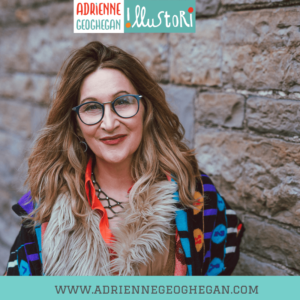 Adrienne had worked teaching visual communication at The Dublin Institute of Technology and children’s picture book illustration and writing at Independent Colleges. When she left, many past students and other interested creatives expressed an interest in any other courses that Adrienne designed and ran. This interest arose as a result of the success of Adrienne’s courses, plus a lack of access to evening courses that suited working hours and personal circumstances. After searching for an inspiring and art-friendly environment, Adrienne was delighted to find The Garden Art Room in The Carmelite Centre on Aungier Street, in the heart of Dublin City, a mere five minutes stroll from St Stephen’s Green. effect on my work as a designer. Big thanks from me I’m loving it! A fantastic way of escaping a state of artistic un-productiveness! Great projects, great artists, great interactivity and great fun! Adrienne seems to have a constant stream of ideas.